Moray or Muray (Quechua) is an archaeological site in Peru approximately 50 km (31 mi) northwest of Cuzco on a high plateau at about 3,500 m (11,500 ft) and just west of the village of Maras. The site contains unusual Inca ruins, mostly consisting of several enormous terraced circular depressions, the largest of which is approximately 30 m (98 ft) deep. 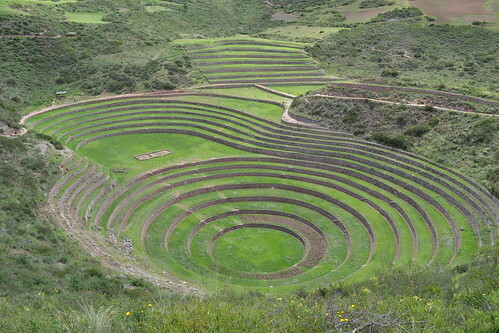 As with many other Inca sites, it also has a sophisticated irrigation system.